While marketing in general can be a challenge, marketing within the healthcare industry can be especially difficult. The reason you’re in the healthcare industry is likely because you want to help people overcome their health issues, be it physically or mentally. But balancing this with keeping your business up and running can be a hard line to walk. Luckily, there are some things you can do to better connect with those who you could best give help and assistance to. So whether you’re running a drug rehab facility or a small counseling center, here are three tips to help you market your business in the healthcare industry. Creating relevant content is going to be one of the best ways that your business can create a dialogue with potential patients. However, coming up with new and exciting content can be a real challenge, especially when you don’t have a lot of time to devote to this strategy. To help with this, AJ Agrawal, a contributor to Forbes.com, recommends trying a tactic known as news jacking. When you write news jacking content, you take a story that’s already trending with news outlets and give it a medical twist. This could mean giving additional information about a disease that’s being discussed or sharing your medical opinion about something newsworthy. If you have some heavy competition that your business is up against, what can set you apart from them is your personal story. Especially if your healthcare business relies heavily on your relationship with your clients or patients, sharing your story and humanizing your business can do wonders for your marketing strategy. Some of the questions you should consider answering, according to Moz contributor Pyxl Marketing, are why you were founded, who your key players are, and what your morals and values are. Along with content marketing, your healthcare business should also focus on your social media presence. 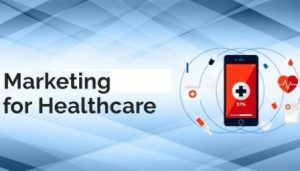 And while many healthcare businesses use social media to communicate with their employees, using this as a marketing technique can be very effective. For patients or clients looking for a new facility, social proof can be a big motivating factor for trying out a new facility. To best do this, ADU Online recommends frequently sharing health information and statistics over your social media channels. If you’re able to link together your content marketing and social media marketing strategies, both of these areas will get the advantage of becoming stronger together. If you work in the healthcare industry and are struggling with how to market your business in this field, consider using the tips mentioned above to help showcase your business in an ethical and useful manner.